Atlas and the Anchor: Broken Bells - "Meyrin Fields EP"
Just a little over a year after the release of their Grammy-nominated self-titled debut, Broken Bells, the collaboration between Danger Mouse and James Mercer are set to release the Meyrin Fields EP out this week on Columbia Records. The EP consists of the title track which was originally released as the B-side to single for “The Ghost Inside” as well as three previously unreleased tracks, “Windows”, “Heartless Empire”, “An Easy Life” that were all recorded during the same sessions that produced their highly praised debut. 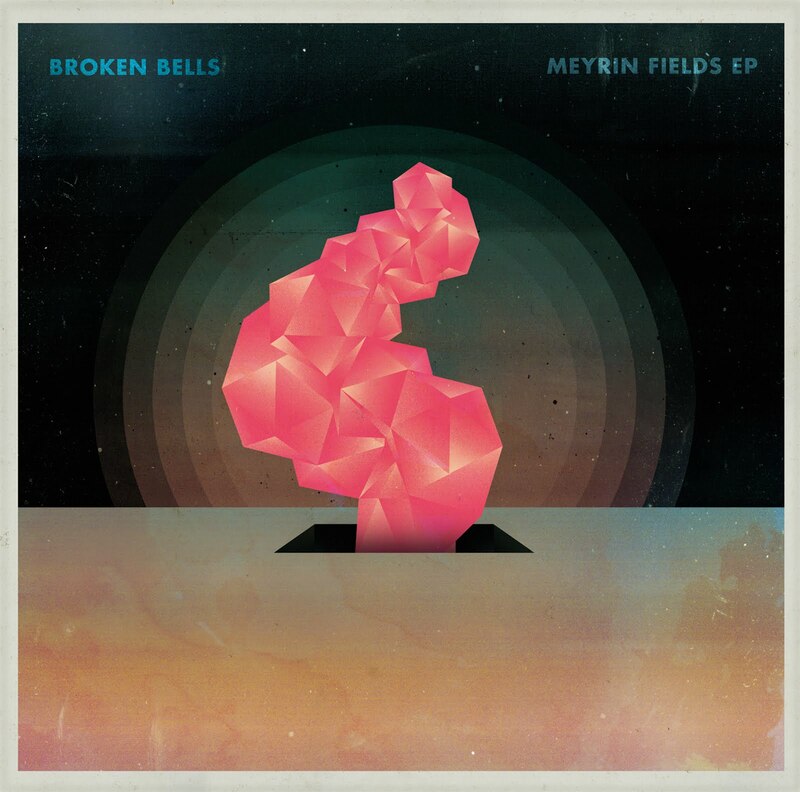 “Meyrin Fields”, the title track opens the EP with a rumbling beat and blips and beeps along with multi-tracked vocals for another futuristic spin on their brand of psychedelic 60’s inspired pop. “Windows” features a rubbery trip-hop guitar line that propels the song forward and an outstanding sing-along chorus. The bouncy “An Easy Life” stands out with a room-filling vintage organ and James’ unique melodic vocal style that most resembles his work with the Shins. And “Heartless Empire” closes out the EP with a surprising wall of double-fuzzed guitars and reverb-drenched vocals. Usually there is a reason B-sides and previously unreleased material didn’t make it onto the album, but the four songs on the Meyrin Fields EP are just as good if not better. So it’s a good thing Broken Bells have decided to continue recording and touring because we would be missing out on some spectacular music if this was a “one-and-done” project!